At their worst, a SantaCon can be a massive headache for cities and their restaurants and bars as a bunch of lubed-up Kris Kringles act in the sort of amateurish ways one expects on New Year’s Eve. Just search “SantaCon Nightmares” on YouTube for some examples. At their best, though, a good Santa pub crawl brings a bunch of jovial folks together for spirited holiday fun that also injects some bucks into the local economy (while also making for some memorable Instagram moments for unsuspecting bar patrons). 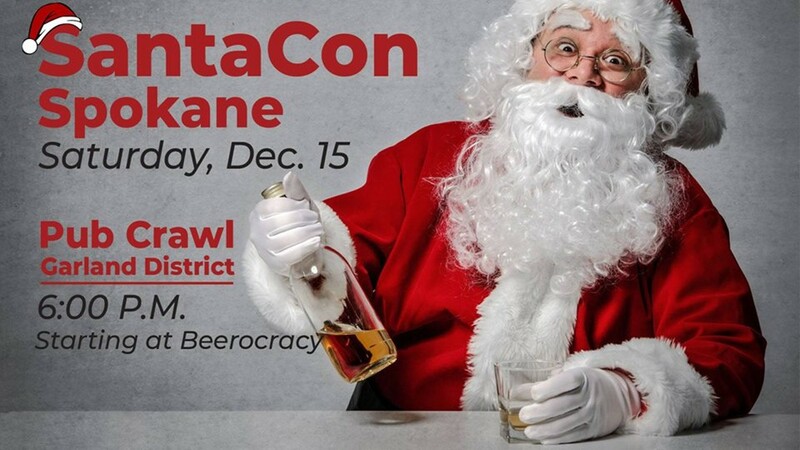 This year’s SantaCon Spokane takes the fun to the Garland Neighborhood, where the tight array of stops should be ideal. It also comes at the end of a Winter Wonderland Celebration thrown by the Garland Business District, so get yourself a Santa suit and make a day of it.